UPDATE #2: It looks like they’re up again. If you already added the application, click here for the signup form. UPDATE: Sorry guys, obviously they’re having some trouble. They said their tech team is looking into it, so they’ll hopefully have it working again soon. We’ll let you guys know as soon as it is. To makeup for the problems with their giveaway last week, today Monday, 4/4 @ 6 PM (PT) / 9 PM (ET) Tide will be giving away 150,000 samples of their new Tide Stain Release. If you’re one of the first 150,000 people to register on their facebook, you’ll be able to reserve a free sample for yourself and three of your friends. Im always looking for a good stain remover. I have bee wanting to try the new tide stain remover, but havent so far. what a great way to try it out before actually purchasing it. i love all of tide’s products. they are the best. Can’t live without this stuff! Tide is the only detergent to use!! Ready to give this a try. I’m messy, and old enough to admit it!!! I am a server and I need a good stain remover to get my aprons clean. Thank you! I ruin so many clothes – always spilling stuff! Thank you – I really need a better solution! 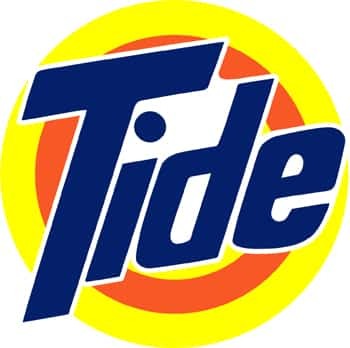 Tide is the only thing we use in the MIller household~~ We Love it plus with my husbands allergies, tide works great!!! I love tide !! Would love to try new stain remover…. never tried TIDE–does it work? I really want to give this a whirl. Is commenting how you get in on this deal? The site isn’t working!! Again! Your site keeps having problems I feel I am wasting my time! Get together already….. Sample Stuff- sorry about all the negative comments- people should be ashamed of themselves- as we have received a lot of nice Free Stuff already- everybody needs to be more patient- things happen that we have no control over- the internet is not perfect and neither are any of us ! True Judy……I’m not upset but still haing trouble,,gonna give up and try next give away. Still can’t get any link to work, too much time & trouble which is quite a bit for someone who makes SQUAT. love tide i even use it for steam cleaning solution , the tide with freebreze is great would love samples!!!!. Ready to try your stain remover.